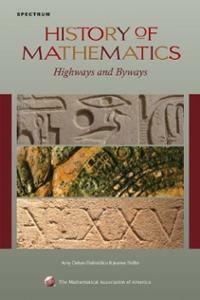 This is a novel, short, and eminently readable history of mathematics. Many histories provide a chronological history of the entire subject, which can sometimes make it difficult to follow the development of a particular branch over time. Dahan-Dalmedico and Peiffer succeed splendidly in tracing each branch from its beginnings forward. They also give an outstanding account of how the Arabs not only preserved Greek mathematics, but extended it in the 800 year period from 400-1200. The large number of informative illustrations support the text and contribute to what is a great read.